Zac Benson’s got a bad succulent collecting habit. The San Diego-based photographer says his girlfriend, who shares his love of these “fat plants,” would for Valentine’s Day “way rather have nice a Kalanchoe Beharensis a.k.a. Felt Plant” than a dozen roses. 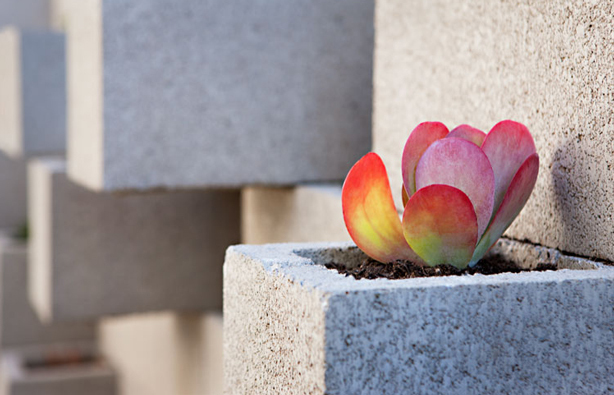 To find a way to show off the ever growing collection of succulents taking over his front and backyard, Benson built a cinder block planter wall to contain them. 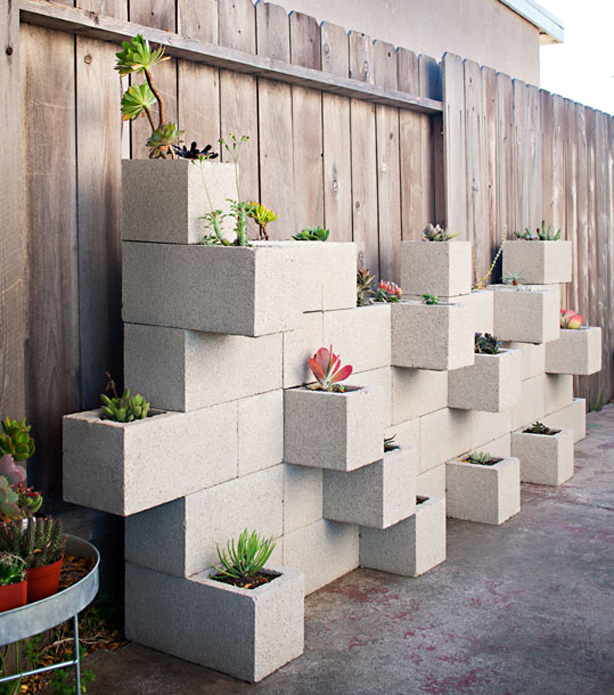 Since he’d seen cinder blocks used as planters, he thought with a little glue (block adhesive) he’d go vertical to house as many succulent as possible. Cinder blocks appealed to Benson because they are inexpensive (total cost was under $60) and simple to make. He also loved the great modern feel of the cinder block’s simple square lines. In small spaces, it’s always great to give an piece dual functionality. 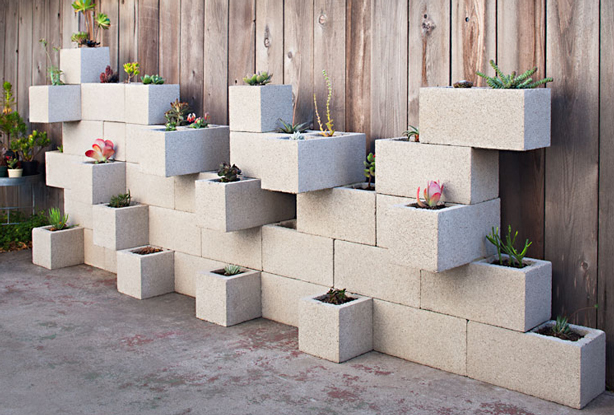 Benson placed his cinder block garden by a fence, but consider using yours as a privacy screen to block out from view those overly friendly neighbors. You might want to use the block wall planter as a space divider–separating even a small dining area from a lounging area. By using the solid sides of the blocks, you could extend some of them to create a ledge that functions as a table, giving yourself extra serving area when entertaining. The same concept can be extended to create additional seating: build out the blocks in one area of the wall to create a seat, then place an inexpensive loveseat or bench cushion on top.